Raising a family can be hard work. You want the best for your kids, but you also have to balance a budget, get to work on time, and keep everyone in the home well-fed and clothed. Here at OUR Center in Longmont, we offer an array of family-oriented resources. From childcare that helps you keep your kids safe while you get to work to a community market where we can help you shop and create healthy meal plans, our goal is to help your family move forward in the best way possible. 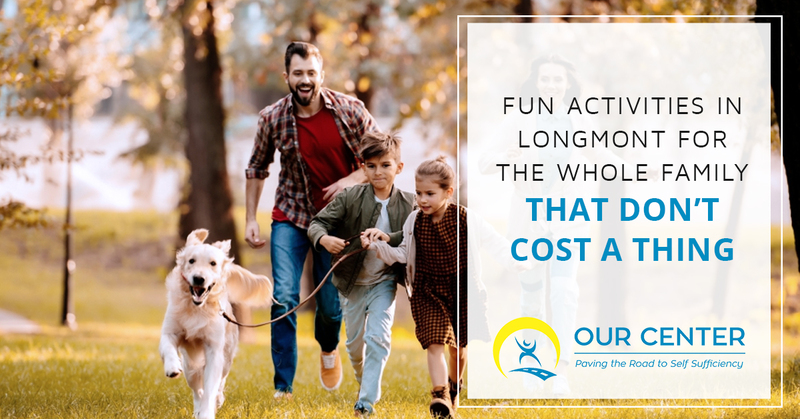 As you focus on giving your kids the best future possible, one important component of this plan will include spending quality time together as a family. Experiencing new things together and investing time in just being with your kids will go a long way in helping them feel secure and happy. If you are looking for fun activities for the whole family that don’t cost a thing, check out this quick list. On days that the weather allows, you and your kids can go on a family walk together. To make this daily stroll a little more fun, create your own scavenger hunt for the kids. Walk the neighborhood on your own first and write down little details about things you see. For example, down the street, if one of your neighbors has a mailbox in the shape of a fish, add “A Fish Mailbox” to your scavenger hunt list. The more unique things you can find on your walk, the better. Then, when you take the walk as a family, have everyone hunt for these specific things. After you host the first scavenger hunt walk, encourage your kids to create their own. For older kids that can safely walk the neighborhood on their own, have them take a walk and make a list for the family to use on your next stroll. The sky is the limit when it comes to creativity for this I-spy style scavenger hunt. Get the whole family involved and enjoy exploring new places together as you look for hidden gems. One of the best things about living in Colorado is that we enjoy beautiful days year-round. While the winter might not allow you to spend as much time in the park as the summertime, there are still beautiful days you can enjoy the outdoors. Parks are a wonderful place to go as a whole family as they are free to use and offer fun activities. Pack a picnic lunch and spend a whole afternoon at the park. You can walk the trails together, feed the ducks, or enjoy the playground equipment. Not only is this a fun family-friendly activity, but it also helps promote health and well-being for you all. You are never too old to enjoy a day exploring your local parks. The local library is an outstanding resource for family-friendly fun. Spend some time finding books and movies to check out. You can even pick out a bigger novel to read a few chapters of each evening to the whole family. Not only will you find books, movies, and music at the library, but you will also find out about free events the library is hosting. Take some time to talk to your local library staff and ask about what activities are coming up. Often libraries will host family craft nights or movie nights that are free to take part in. Mark your calendars for these fun events and enjoy the wonderful resources your local library offers for free. On colder days, it can be hard to get the family out and about on walks or visits to the park. When the weather has you trapped inside, gather together all the blankets and pillows you can and build yourself an indoor fort. Have everyone in the family work on constructing a mega-fort that can hold you all. Bring in books, games, and other simple activities to enjoy from the comfort of your pillowy abode. Take turns telling spooky stories with the lights turned off or swap silly jokes. An indoor fort is a free and simple way to create your own fun from the comfort of your warm home. Another great indoor activity for the colder months ahead is hosting your own art time with the whole family. To keep things low-cost you can simply use items you already have on hand. One night you might all pull out pens and pencils and create simple drawings together. You can pick a subject and see how each of you draws the subject differently. For example, perhaps you can all try to draw your family pet using only pencils and paper. 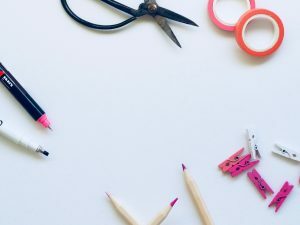 Another night, you might pull out the glue, string, and scissors as well as a bunch of random throwaway items from around the house, such as toilet paper rolls, old milk cartons, and plastic bottles. Everyone is tasked with creating something unique with only the materials on the table. At the end of the night, everyone gets to explain what their creation is and how they built it. Finally, make sure you keep an ongoing list of free events taking place around town. Your local library will have information about upcoming events as well as this helpful website “Macaroni Kid”. Look for activities that every age range in the home will enjoy and commit to a few you know you can attend. Mark a calendar in the home with these events so everyone can count down to the ones they look forward to most. Taking part in these free events gives everyone a chance to get out of the house and even meet new friends. Being a good parent can be tough work. If you need help tapping into extra resources to help you become the best parent possible, don’t hesitate to come see us at OUR Center. We believe in helping Longmont families move forward with the right access to valuable resources, such as food, clothing, childcare, and more. Stop by today.